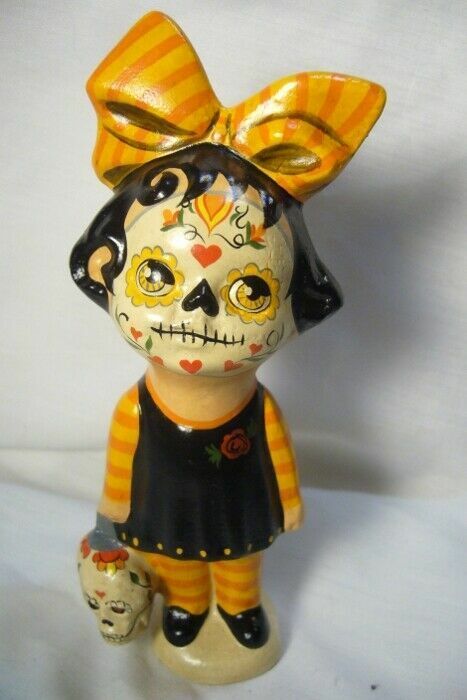 Vaillancourt Folk Art, Day of the Dead Girl, signed by Judi! Vaillancourt Folk Art, Santa Caught the Rascal,Personally signed by Judi! Vaillancourt Folk Art Day of the Dead Boy, or Halloween,signed by Judi!